What do you charge for a diagnostics repair estimate? Included FREE of charge with the your authorized complete – full repair of your device. What ever the problems, if you allow us to complete the repair, diagnostics fee is waived – no charge. After the problems have been determined, and cost of repair provided, if the repair is declined the diagnostics estimate of repair fee below applies for our time on your device. Non Refundable. Includes complete insurance report document with estimate of repair, and verbal communication / answering any questions from your insurance company. Data loss & recovery frequently asked questions. My hard drive has crashed, can you recover my data & files? Operating system problems causing a non boot computer, there is a good chance I can recover your data. If the hard drive has failed due to internal mechanical failure on the drive itself, no I cannot recover that data. Need to find a specific data recovery company that specializes in that type of data recovery. They are very expensive. LOSS OF DATA IS A REAL AND INHERENT RISK! Keeping regular scheduled backups of ALL important data on your computer is critical at all times! Will save you alot of money, headaches, trouble and stress when the hard drive decides to fail. Everything of importance on your digital device you risk without maintaining backups of that data. FREE 5 GB Account To Try! Do not wait for disaster to strike! Start backing up your critical data on your computer today! This is one service any computer user cannot be without. Will I loose my important data on my computer, during repair? My goal is to repair your computer, not damage it any further. But in extreme cases, your data might already be gone or damaged, without a regular backup schedule. I do all to protect any data on your computer or laptop. Lightspeeds PC Repair will not intentionally remove or delete any of your data during diagnostics or repair. iDrive – Automatic Remote Data Backup & Recovery – Start protecting your data automatically, and ever worry about data loss again! FREE 5GB Account to test drive, with no expiration or credit cards required. How long will you hold my computer, laptop or iPad? I do not have the storage space or insurance liability for holding your equipment forever. All customers agree to make a diligent effort to keep in contact with Lightspeeds Computer Repair and decide how they would like their repair resolved in a timely manner. Any device left behind longer than 45 days from invoice date, with no contact, no return calls or arrangement for payment on the repair or services will be deemed abandoned & forfeited ownership. Terms Of Service. Any hardware installed to repair said equipment will be removed, before disposal recycling. All records of attempted contact emails, attempted contact phone calls, times and dates are logged. You affirm, understand your device will be recycled, discarded, disposed or sold after being left behind over 45 days with no arrangement for payment. You affirm, Lightspeeds Computer Repair will not be held responsible, accountable or liable in any way for any device left behind after 45 days from invoice, or the data on those device left behind after 45 days, that have been abandoned – forfeited by the customer by our Terms Of Service as stated. Microsoft Windows based computers & laptops only. And the iPad Touch screen replacement. Dell, HP, Compaq, Toshiba, Gateway, Samsung, Asus, Sony, Lenovo, IBM, Emachines, Acer, Fujitsu and Custom and off brand computers. Microsoft Windows based computers, laptops and touch screen replacement for iPad models 2, 3, 4 and the iPad Air 1. Many programs & internet browsers will not install on these Xp or Vista operating systems anymore. What equipment do you service & repair? I specialize in Microsoft Windows based computers & laptop repairs only. iPad Mini 1 &2, and the iPad Air 1 & 2. General computer repair frequently asked questions. Do you buy or exchange computers & laptops? No sorry I do not buy or exchange computers & laptops. I do not have the storage space at the house or need for old computers. Technology changes very fast, pc hardware becomes obsolete even faster. With out knowing that exact problem(s) with your computer or laptop that is difficult to be exact. Average repair time is 1-3 days, or as quick as possible. Completion time also depends on existing scheduled workload & repairs. Repairs are taken in the order they are received, first in first out basis. Can take 4 – 6 business days, for the parts are special order components. Just purchased a new computer, what should I do first? Create a system image or better known as “recovery disks”. VERY IMPORTANT! For Windows 7, for example,, have yourself 3-5 blank DVD’s available, click Start Menu, look for “Maintenance Folder”, click on “Back & Restore”. Look on left side for “Create A System Image” and click on, follow instructions and prompts. Label the DVD’s as instructed, store is a safe place. Creating these Recovery Disks will save you $100+ if your operating system needs reinstalled due to virus or file corruption damage. This is a very simple procedure, and very important to do! Manufactures usually install a recovery partition, section on the hard drive that can be used to reinstall the OS. IF that hard drive goes out, fails, this recovery partition will do you know good on the bad drive. New hard drives are blank and need an operating system installed, with recovery disks this can be done easily, saving you money. Install anti virus software such as Kaspersky or Bitdefender or Eset Anti Virus. Install specific “on demand” malware detection & removal software such as Malwarebytes Anti Malware. And run periodic scans. Next, install iDrive Offsite backup FREE 5 GB Account. Regular subscription gives you 1000GB of storage space for under $3.95 per month. iDrive’s software will automatically keep your important data backed up and protected against hardware failure and data loss. Data can be easily recovered by re-downloading ALL your data back, at any time, from anywhere or to any device. – Data Recovery companies charge $250-$500+ to recover data from failed hard drive. And can take weeks before it is completed. – iDrive Automatic Backup & Recovery about $3.95 per month. What do I need to bring with me when I drop off my computer, laptop or iPad? For desktop computers, just the main computer tower, I do not need your keyboard or any other cables or devices. For computers or laptops, please bring an external drive IF you would like your data backed up BEFORE the repair process. We can back up to your external drive which is at a considerably less cost than burning multiple DVD disks or usb thumb drive. For laptops, PLEASE DO bring the charger power cord. Any CD’s that came with computer might be needed, or operating system recovery disks. Where can I find reviews of your computer repairs & work? 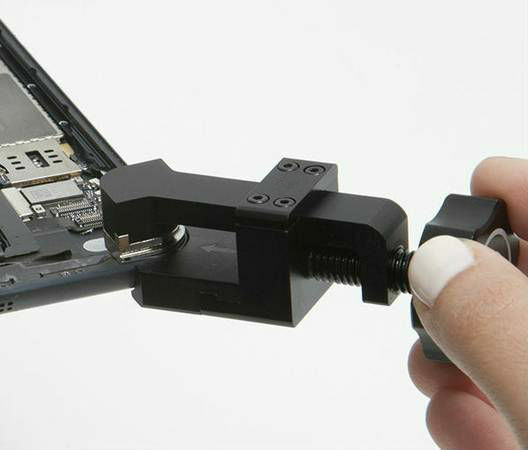 iPad Repair frequently asked questions. Do you use genuine Apple replacement parts? Apple does not provide, or sell ANY “Genuine OEM Apple” branded replacement parts or screens to anyone, or any repair shop. Anyone advertising this is not being truthful, and using it as a advertising tactic to attract customers. Replacement iPad touch screens, and compatible parts for Apple products are ALL manufactured by third party manufactures, so your device can be repaired at a lower cost than sending to Apple for an expensive repair or having to replace entire device. I use only quality grade AA+ iPad replacement screens. How can I tell what model# iPad I have? How to identify your iPads model, on the back of your iPad, opposite the home button in very small fine print look for Model#. And all iPad Mini model’s I do not repair. How long will it take to repair my broken iPad screen? Completion time frame of 24-48 business hours. Usually completed the following day, 24 hours minimum. Current work load, existing scheduled repairs ahead of yours, dent frame damage to your iPad, time of day your iPad is dropped off, and replacement screen availability. Shipped in repairs take priority, unless specified, shipped in iPad repairs will be serviced same day, and shipped back USPS Priority mail the following day. How much to replace my broken iPad touch screen? Parts Labor Included, iPad Repair Warranty, Corner Dent Repair Included. I have attempted repair of my own iPad and failed, can you finish the job repairing it? Will have to check the iPad out, but most likely yes. With many attempted “DIY” repairs by the owner or others that I have received here, what I have found is other damage caused by the attempted repair. Could have additional cost for correcting, replacing any additional damage caused by the attempted repair. For example ripped out power switch, wifi – cellular data antenna’s cables, broken connector clips, lost screws etc. iPad repair covered by Apple warranty? Lightspeeds PC iPad repair service is not covered under ANY Apple warranty. We are not affiliated in any way with Apple. Lightspeeds PC iPad repair is covered under our own 60 day iPad warranty for hardware defect or component replacement failure under normal operating conditions. The corners on my iPad are dented in, can you fix this? Corner dent repair is INCLUDED with the iPads screen replacement. 99% of the iPads in for repair have dented corners from the impact drop. The edge frame of the iPad is very soft aluminum alloy, which dents very easily. Corner or frame dents must be reshaped, for the new digitizer panel WILL NOT fit & install correctly when any part of the ipads aluminum outer frame is dented in. We use a special tool to reshape the iPads corners and frame back out in order to install the new digitizer touch screen. The answer to the question, yes we can fix or reshape the dented in corners. Note: Corners that are bent out of alignment, not level with frame require additional time & work, IF repairable is $15-$25 extra. Missing metal, crushed metal ipad frames, puncture holes, bent frames, mangled frames, I cannot repair 100% again. What iPad models do you repair? Laptop Repair frequently asked questions. How do I maintain my laptop? How long will it take to repair my broken laptop screen? Laptop screens are special order components. Screen for your laptop must be ordered, shipped and delivered. Estimated repair time of 4-5 business days, with standard delivery of screen. Once we have the new screen, the actual repair can be completed in a 1-3 hours depending on scheduled work load. Deposit required prior to ordering your screen. Laptop brand & model# is required to provide an estimate. How much will it cost to replace my cracked laptop screen? Laptop screen installation is $49, plus cost new replacement lcd screen. Your laptop’s manufacture and model# is required for a free complete estimate for laptop screen replacement. Each laptop has it’s own hardware specific lcd screen. 15.6″ type laptop screens range in price from $49-$80 approximately. I have broken my power connector inside of laptop, can you fix it? Yes, we can replace and fix the laptop dc power jack. Laptop Fan Replacement – What Is The Cost? $65 plus the cost of the fan required for your laptop. Service includes a complete disassembly of the laptop, internal cleaning, quality thermal compound on processor and re-assembly of the laptop. Residential, home address in Evans GA. Off of Hereford Farm Rd. My “office, my repair shop”, my business workplace is my home. All repairs are done directly from my HOME. Hours & availability can vary. Please CONTACT for address, and to schedule a drop off time, thank you! Do you make house calls, service calls or provide on site repairs? No sorry, I do not offer onsite, in home computer repairs or “house calls”. Cash, Personnel Checks, Credit Cards or Paypal On Line Payment. Deposit is required on any hardware needed to repair your equipment. What anti virus software do you recommend? First off, anti virus protection begins with YOU, and others who use your computer. Eset NOD32 Anti Virus $39.99, I use this personally, excellent protection for my use last 2.5 years. Very low on computer resources, no impact on computer performance as other anti virus programs very well do. Bitdefender Anti Virus, Kaspersky Anti Virus, Eset Anti Virus, Avira Anti Virus and Avast Anti Virus. What computer maintenance programs do you recommend? What data backup method do you recommend? iDrive Automatic Offsite Data Backup & Recovery. Keep your irreplaceable data files automatically, securely and easily backed up and protected from loss. Using iDrive, you can recover your files easily from anywhere at any time with your account logon details. New computer? Laptop stolen? Hard drive failure? 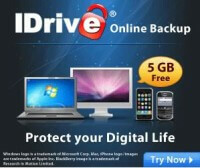 No problem, no data loss if you use iDrive Data Backup & Recovery. With the amount of laptops I receive for repairs here, it is difficult for me to recommend a specific brand. Other than “user accidental damage”, brands that overall have much better quality internal design & component build are – Lenovo, Asus, MSI and Samsung. These are the brands I have seen the least of, as far as hardware failure goes in general. Brands to stay away from: HP or Compaq brand laptops completely! Do you have a warranty on your repair service? Do you provide warranty services? No, I do not provide “warranty” repair services for any of the computer manufactures. Lightspeeds standard 45 warranty applies on repairs provided. Warranty Information Link. I am not affiliated with or provide “warranty” work for Dell, HP, Toshiba, Sony, Gateway, Emachines, Lenovo, Asus, MSI, IBM, Acer or Samsung. You affirm that you are aware that authorizing Lightspeeds Computer Repair to work on your computer may void the manufacturer’s warranty. In addition, while every effort will be made by Lightspeeds Computer Repair to be aware of warranty conditions, you are solely responsible for knowing and understanding what is covered by any warranties on your computer. Parts and labor on a system that is later discovered to have been covered by a manufacturer’s warranty is non-refundable.